The "Monk" series finale did well. Really, really well. The show ended its eight-season run with a ratings surge, becoming the most-watched scripted hourlong series in basic-cable history. USA brought in 9.4 million viewers, eclipsing the 9.2 million record formerly held by TNT's "The Closer." The hour also performed better than any of the networks' 9 p.m. offerings. The show has paid off in many, many ways for USA over the years. It put the channel on the original-series map, and then served to bring viewers to other USA series such as "Psych" and "White Collar." 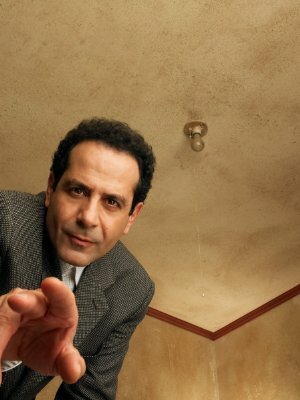 It won a trio of best-actor Emmys for star Tony Shalhoub. And it defined the USA brand, as the channel went on to become the home of light detective series with idiosyncratic heroes, offering humor in the course of the whodunit material. It took the old-school formula of "Columbo" and gave it a more contemporary psychological spin. The "Monk" finale, the conclusion of a two-parter, solved the central case of Monk's life, the murder of his wife, Trudy. We learned (SPOILER ALERT) that Trudy had had an affair with Craig T. Nelson's Judge Ethan Richover -- formerly Trudy's law school professor -- many years before she'd met Monk. (Rickover commits suicide during the episode.) And the baby she'd had -- whom she thought had died -- was still alive. Named Molly, that child is now 26 and will become the apple of Monk's eye, to the tune of many, many hundreds of obsessive photos taken over the period of a few days. Monk is still obsessive, he is back on the job, and part of Trudy lives on. What did you think of the finale? Love it? Hate it?